On Runway 06 at Moosonee airport, the Sikorsky S-76A helicopter rocked uneasily on its landing gear, its four rotor blades beating the night air. In the cockpit of the ORNGE air ambulance was Capt. Don Filliter. 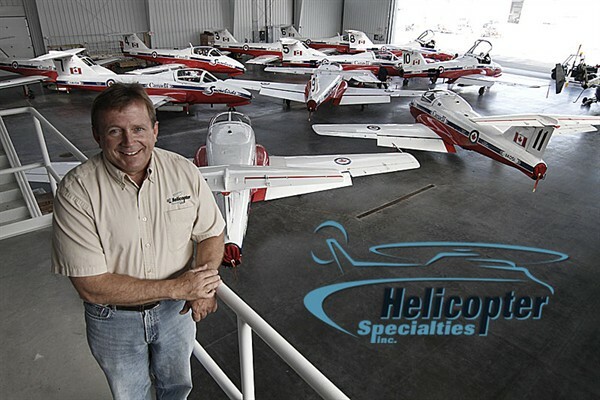 At 54, he was a respected veteran of Canada’s helicopter industry. Beside him was First Officer Jacques Dupuy. In the cabin behind them were flight paramedics Dustin Dagenais and Chris Snowball. The chopper, call sign “Lifeflight 3,” had been dispatched on a midnight trip to Attawapiskat to pick up a patient. But their flight barely lasted a minute, ending in a fiery crash in the forest, killing all four onboard. The Star spoke at length with pilots with years of experience in air ambulance operations, including several who still work at ORNGE. They spoke on the condition of anonymity because of a concern about retribution. Pilots and critics say the roots of the May 31 accident can be traced from that patch of burned and devastated forest in northern Ontario back to ORNGE headquarters in Mississauga and the management decisions that began under the controversial reign of Dr. Chris Mazza. “I think ORNGE is praying that it’s a pilot error accident and then they will accept no blame for this,” one pilot told the Star. Whether ORNGE had the organizational “competence” to assume responsibility for the helicopter operations just over a year ago. An exodus of senior, experienced pilots — more than one-quarter of the workforce — that has strained training and scheduling. In the last 18 months, more than 20 disgruntled rotor-wing pilots with thousands of hours in their logbooks have left, including three who handed in their resignations this week. The turnover could impair the busy flying schedule in the summer “trauma” season. The training given to Filliter. Though an experienced pilot, he had returned to air ambulance flying only in March after several years away. The pairing of Filliter and Dupuy. Veteran pilots tell the Star this “green-on-green” scenario — a pairing of pilots relatively new to their flying positions — is at the root of the accident. Such pairings are banned in commercial aviation because of the inherent risks. In this case, Filliter was returning after a hiatus and Dupuy had less than a year’s experience. Questions about the management of ORNGE’s helicopter operations after the service suspended night flights to remote helipads and flights in bad weather in the wake of the crash. As well, sources say that helicopters are routinely out of service because of maintenance problems or lack of staffing. ORNGE president and chief executive officer Dr. Andrew McCallum says the two pilots involved in the accident were “highly qualified and experienced” and had received the required training. And McCallum told the Star that he believes operating the fleet of helicopters in-house “is the most appropriate way for us to deliver the service. “I believe that the people here are equipped and able to properly supervise and maintain an aviation service,” McCallum said. The troubled saga at ORNGE has cost taxpayers money. But in the wake of the Sikorsky crash, some question whether that turmoil has now cost lives. They point to the decision by ORNGE to take over the operation of its helicopter fleet, despite repeated warnings that the agency lacked the “competence” to handle the complex demands of such a move. It was under Mazza’s tenure as chief executive officer that ORNGE decided to cut short its contract with Canadian Helicopters Ltd., which through a series of competitive bids, had operated Ontario’s rotor-wing air ambulances since 1977 without a fatal accident. Instead, ORNGE said it would handle the operation and maintenance of its helicopter fleet and the training of its pilots starting April 1, 2012. The fatal crash came just over a year later. Today, there is growing anger among ORNGE employees who saw this as a preventable accident set in motion by the turmoil of recent years. “ORNGE was never set up with the original mandate of operating an aircraft. We are paying for it now. They should never have been involved in aviation,” said one insider. There were warnings voiced at Queen’s Park that ORNGE lacked the expertise to manage a fleet of sophisticated helicopters. “It’s a very, very complex operation. Putting it simply, there’s no learner’s permit for this. It’s very, very difficult to do. We’re very good at it,” Rob Blakely, a vice-president with Canadian Helicopters, told the public accounts committee probing the ORNGE controversy last year. It was no idle boast. Canadian Helicopters had been recognized by Sikorsky for its safety record flying the S-76. Jacob Blum, who served in several senior roles at ORNGE until his resignation in 2008, said he voiced doubts about the decision to bring the helicopter operations in-house but says he was ignored. “What ended up happening was a desire to become an aviation company — what I cheekily call, ‘boys with toys.’ ” Blum, a former ORNGE vice-president, told a Queen’s Park committee probing the agency last year. “ORNGE did not have the core competencies to become an aviation company. That was better left to the third-party aviators who do this for a living day in and day out,” Blum said. “It concerned me greatly that ORNGE was about to undertake this in a very short period of time,” he said. Preparing for takeoff that night, ahead lay the runway at the Moosonee airport. Beyond that, blackness. And unlike nights in southern Ontario, where urban life illuminates the night, this was an all-encompassing, inky darkness. It was the kind of darkness that has a name — the “black hole” effect where the lack of visual references creates risks for pilots. The condition is a bigger concern on landings, when such darkness makes depth perception difficult. But it can also play havoc on takeoff when pilots must cope not only with the lack of visual references but also the sensory illusions caused by the acceleration of the aircraft as it takes to the air. It could be so disorienting that Canadian Helicopters gave its air ambulance crews repeated practice in “black hole” arrivals and departures to drive home the risks and the skills needed to safely in such conditions. “Unlike southern Ontario, once you leave that runway there are no lights for 80 miles,” one pilot told the Star. On the runway, the Sikorsky’s twin engines spooled up and the chopper took to the air. “You want keep . . . straight and level until you’ve got a good rate of climb and at least 500 feet above ground in night-time before you do any turning,” one pilot told the Star. The helicopter climbed initially and then turned north. But in the turn, it began to descend, crashing into the trees that border the airport. After listening to the cockpit voice recorder, investigators from the Transportation Safety Board of Canada said it didn’t appear that a mechanical problem was the cause. While all potential causes officially remain on the table, that announcement has put the focus on the actions of the two pilots at the controls — and decisions by ORNGE management. Though spread around the globe, Canadian helicopter pilots are a close-knit community. As word circulated that Filliter had been killed in a crash, the first reaction was disbelief. Then were there questions. That’s because all those who flew with Filliter say he was a consummate pro. “He was a safe, competent pilot. Absolutely no one better,” said one pilot. Filliter flew helicopters for the Ministry of Natural Resources and flew part-time on the air ambulance fleet. Yet he had been away from the air ambulance business for several years before joining ORNGE in March as a contract pilot. It’s the policy of some aviation companies that a captain who had been away for an extended time would have been paired with a training captain for a month or longer to ensure they are up to speed and proficient to act as a pilot-in-command. Now some question whether Filliter had been pressed back into operations without proper training and supervision because of the staff turnover at ORNGE. “I just can’t get my head wrapped around how this happened,” said one veteran pilot, who once flew with Filliter. “It’s got to be something to do with the training not being done well and Don being left without the tools required to do this job,” the pilot told the Star. Canadian Helicopters had managers in charge of individual air bases across the province. Such a manager would never have paired Filliter and Dupuy together for a challenging night flight, one source said. But when ORNGE took over, they got rid of the base managers and moved to centralized scheduling run from its Mississauga headquarters. “Yes, they both had lots of experience flying but not in this type of environment,” the source said. As a former flight surgeon, chief coroner of Ontario and a pilot and aircraft owner himself, McCallum well knows the desire for answers after tragic deaths. His first counsel is patience, to avoid quick judgments. “Everybody has a thought about what happened and why it happened and conclusions have been drawn but the fact is we don’t know,” he told the Star during an interview at ORNGE’s Mississauga headquarters. He says that Filliter had gone through all “recurrent training and checks” after joining ORNGE. Dupuy joined last August and McCallum says he was experienced as well with thousands of hours in his logbook. “So neither of these guys were anything but highly qualified and experienced,” McCallum said, dismissing speculation of a green-on-green scenario. “I think describing these two individuals as green would be unfair to them entirely,” he said. He concedes that the takeover of helicopter operations from Canadian Helicopters has been challenging. “Certainly there have been pilots who have left. We have also recruited more pilots than have left,” McCallum said. “I think it would only be fair to say that the transition from CHL to us wasn’t entirely happy from the perspective of a number of veteran pilots,” he said. He said he expects the safety board to look at Filliter’s training, the pairing of Filliter and Dupuy, the turnover in the pilot ranks and determine whether any of it was a factor in the accident. “It’s frustrating because it takes a long time and people want answers. My folks desperately want to know,” he said. Thanks to Colleton County Fire for the memories... This video includes several aircraft previously operated by Omniflight Helicopters prior to their acquisition by Air Methods Corp., including the former Meducare Air ship, 171M(edical) U(niversity of South Carolina)), 117 L(ife) S(tar) Savannah, and an old-formerVanderbilt Life Flight ship, 117 VU. These BKs are going away now, to bone-yards and overseas, but they served well and long, and transported thousands and thousands of persons to definitive care. And never hurt me. On June 6, 2013, about 2315 eastern daylight time, a Bell 206 L-1, N114AE, was destroyed when it impacted an elementary school parking lot while on approach for landing near Manchester, Kentucky. The airline transport pilot and two medical personnel were fatally injured. The helicopter was registered to and operated by Air-Evac EMS, Inc., as Evac 109, and operated under the provisions of Title 14 Code of Federal Regulations Part 91 as a repositioning flight. Night visual meteorological conditions prevailed, and a company visual flight rules flight plan was filed. 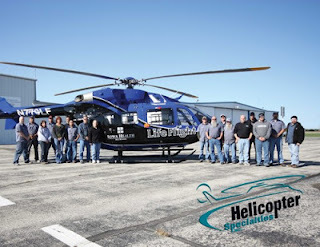 The flight originated from the St. Joseph-London Heliport (5KY9), London, Kentucky about 2259. The helicopter was on approach to the operator’s private helipad when the accident occurred. According to flight tracking software provided by the operator, the helicopter approached the base from the west, turned southeast, flew overhead the intended landing site about 1 mile, turned north, then west, then back southeast prior to the end of the recorded data. Recordings provided by the operator's Operational Control Center (OCC), located in O'Fallon, Missouri, revealed that the pilot reported arriving at the base at 2312:24. That transmission was acknowledged by the OCC at 2312:30. At 2315:02, an unidentified male voice was recorded. No other transmissions from the accident flight were captured. Several eyewitnesses reported that the weather was clear, and stated that the helicopter was "spinning" prior to impact. One of those witnesses reported seeing the helicopter in an approximate 40-degree nose-up attitude, and shortly after no engine sound was heard. Other witnesses, who reported "dense fog" in the area at the time of the accident, stated that they only saw the helicopter just before the impact and subsequent explosion. The helicopter came to rest inverted on a 268 degree heading, about 750 feet from the intended landing area. According to security camera recordings the helicopter erupted into a fireball immediately on impact. TALIHINA, Oklahoma - A medical helicopter that crashed shortly after taking off from the Choctaw Nation Health Care Center in Talihina on June 11, 2013 hit a light pole before impacting the ground, according to a preliminary report released by the National Transportation Safety Board. The patient on board died in the crash and a flight nurse was seriously injured. The EagleMed helicopter was taking off from the Choctaw Indian Hospital in Talihina, en route to St. Francis Hospital in Tulsa, when the pilot lost control and crashed. It hit the ground about 230 feet from its takeoff position. The patient on board, 49-year-old Michael Wilson, of Bethel, was killed. A flight nurse who was in critical condition, is improving, but is still in the hospital. Read the NTSB's Preliminary Report. NTSB investigators came out with a preliminary report on the crash. It shows, when the helicopter landed at the hospital, "another helicopter had just landed and was occupying the single space helipad surface." So, the pilot landed on an adjacent asphalt road. After picking up the patient, the report shows the pilot said he "began a normal takeoff from a hover," and intended to follow the center of the road in a westbound direction. When the helicopter was 175 feet west of the take off location, the left side of the rotor blade "impacted a 41-foot-tall metal light pole," which was located on the left side of the road. A hospital spokesperson says there have not been any prior near misses or complaints about the pole. A commission that evaluates medical transport services has placed the accreditation of EagleMed on hold after the crash, which is routine. The group won't make a decision on EagleMed's accreditation until reviewing the final NTSB report. EagleMed is based in Wichita, Kansas, but operates 24 aircraft in eight states. LAKE CITY, AR – The Air-Evac rescue team in Lake City walked away unharmed after a hard landing late Wednesday night. According to Air-Evac, the rescue helicopter was on final approach to their base when they suffered an engine malfunction. 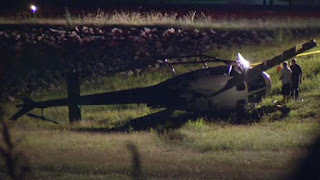 The pilot was able to set the helicopter down close to the heli-pad in what they called a hard landing. No one was injured in the landing, but the helicopter did receive minor damage. The crew does have a spare helicopter on scene, so no services will be disrupted. Air-Evac says the incident is being looked into, and the damaged helicopter will be sent off for repairs. Note: Details of this event are unconfirmed. Hard landing is an aviation euphemism for, "we crashed, tore up the aircraft, and don't want to make a big deal about it, or have YOU make a big deal about it." When the skids are spread apart and the tail boom is broken off, it's a crash. The aircraft will be covered with tarps, loaded onto a flatbed and whisked into a hangar. I had the good fortune to meet Jim Freeman several years ago in Birmingham, Alabama. He and I shared the responsibility to ferry a Bell 230 coming off of a contract up to his facility in Janesville, Wisconson. He was working for the aircraft's owner, I was picked as I had flown her on an EMS contract in Columbia South Carolina. For years, Omniflight lived up to it's name, transporting executives and other VIPs, serving New York city with a shuttle, flying tours of the Wisconson Dells, and eventually testing the waters offshore with the acquisition of Pumpkin Helicopters, an oil and gas outfit. 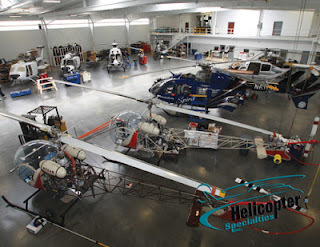 Omniflight eventually settled into helicopter EMS, and toward that end purchased Silver Star Helicopters based in Addison, Texas, near Dallas. After Dan Parker died, his widow elected to move the company from Janesville to Addison. This put Jimmy in a pickle, as he was from Janesville and didn't want to leave. He spent some time continuing with Omniflight as a flying mechanic, able to ferry backup aircraft all over the country, and fix them too. One day, he computed the hours worked versus the pay earned and realized that there had to be a better way. He began, as many aircraft mechanics do, working out of the back of his pickup truck. And made a living. Then he got a call from an old friend. A customer needed a helicopter "completed," which entails the medical interior, the avionics suite, and the paint job. The established completion centers were booked up, and this friend knew of Jim's work ethic and capabilities. Jim contacted all the old Omniflight "wrenches" living in the area and had a Sunday night meeting at his house. The end result was a rented hangar at the airport, and a beautifully completed aircraft. From those humble beginnings, he and his team have created one of the finest helicopter maintenance, repair, overhaul, and completion centers in the world. His business has been profiled in magazines, and on TV, and they have all the work they can handle; for one reason - they do a good job. Jim and I flew the 230 from Birmingham to Janesville and got to know each other. He is a good pilot, and could have gone down that path, but for him the real pleasure is making helicopters look and perform like new. We stopped by the OSF flight program in Peoria on the way north to let them have a look at our machine as a parts spare, and finished the trip using the radar, the autopilot, and the air conditioner to good effect. I found it ironic that the machine had never worked so well as she did during the ride to get rid of her. NTSB cites pilot determination to return to home base in connection with two fatal EMS helicopter crashes in 2010. The U.S. National Transportation Safety Board (NTSB) has cited the pilot's decision to fly into instrument meteorological conditions (IMC) as the probable cause of two fatal crashes in late 2009 and early 2010 of emergency medical services (EMS) helicopters. Each crash killed all three people aboard — the pilot and two aeromedical personnel — and each involved a Eurocopter AS350. The NTSB issued final reports on both accidents in mid-January. The first of the two crashes occurred at 2331 local time on Sept. 25, 2009, 1.92 nm (3.6 km) southwest of Georgetown County Airport in Georgetown, South Carolina. The multi-leg operation began about 2023 when the helicopter left Conway–Horry County Airport (HYW) in Conway to pick up a patient from Georgetown Memorial Hospital for transfer to the Medical University of South Carolina in Charleston (MUSC). After the transfer was completed, the helicopter was flown to Charleston Air Force Base/International Airport for refueling. At 2302, the pilot told MUSC flight control that he was leaving Charleston for HYW with a flight nurse and flight paramedic aboard; at 2316, he said he was flying at 110 kt and 1,000 ft above mean sea level (MSL) and that he expected to arrive at HYW in 29 minutes. A routine flight update was due 15 minutes later, but there were no further communications from the helicopter, and MUSC flight control activated the emergency action plan. Sheriff’s deputies located the wreckage about 0206 on Sept. 26. The 45-year-old commercial pilot had reported two months earlier that he had 4,600 flight hours, including 3,736 hours as a naval aviator in the U.S. Marine Corps. He had ratings for single- and multi-engine airplane, rotorcraft helicopter, instrument airplane and instrument helicopter, and a second-class medical certificate. Although he had experience in IMC, he was no longer instrument current and was not required to be, because the operator — Omniflight Helicopters, doing business as Carolina Life Care — conducted its AS350 B2 operations under visual flight rules. In his last U.S. Federal Aviation Regulations Part 135 competency/proficiency check, conducted in December 2008, he “satisfactorily demonstrated inadvertent IMC recovery,” the NTSB said in its final report on the accident. The pilot had worked the day shift, from 0800 to 2000, from Sept. 22–24 and switched to the night shift, from 2000 to 0800 on the day of the accident. The helicopter was manufactured in 2000. It had 2,967 total hours of operation on Sept. 17, when its last 500-hour inspection was completed. Although it was not approved by the U.S. Federal Aviation Administration (FAA) for operations in IMC, it was equipped with instruments to operate in case of inadvertent entry into IMC. However, it did not have on-board weather radar, a night vision imaging system, an autopilot or a helicopter terrain awareness and warning system. Omniflight’s operations manual said that the pilot-in-command was responsible for obtaining weather information before any series of flights, and Omniflight pilots told accident investigators that they routinely obtained the information from a base computer at the beginning of each shift and advised the Omniflight Operations Center (OCC) of conditions during their flights. They also called the OCC before beginning a series of flights. Accident investigators did not recover the weather data that the pilot obtained before the accident flight, but actual weather conditions reported by the pilot, as well as information associated with the operations center’s approval of the flights, indicated that visual meteorological conditions had prevailed when the operation began and during the early portion of the flight. When the operations coordinator spoke with an MUSC communications specialist at 2242, the coordinator said that if the pilot called OCC before takeoff from Charleston, they could review the weather for the return flight. The pilot did not call, and OCC did not contact him, the report said. The Omniflight base manager at Savannah, Georgia, who also was operating a helicopter in South Carolina the night of the accident, said that, although the weather was deteriorating, the forecast called for it to remain “well above minimums” for his return to MUSC. He said he spoke with the accident pilot, who warned him about “bad thunderstorms” near Georgetown and expressed concern that he might not be able to return that night to his base at HYW. Witnesses who saw the helicopter shortly before the accident said it was flying northbound toward the Georgetown airport about 1,000 ft above ground level (AGL) in moderate to heavy rain, “with its searchlight turning on and off,” the report said. “Although the pilot encountered an area of deteriorating weather and IMC, this did not have to occur, as the pilot did not have to enter the weather and could have returned to Charleston Air Force Base/International Airport or landed at an alternate location,” the report said. “The pilot, however, chose to enter the area of weather, despite the availability of safer options. In its final report on the accident, the NTSB noted two safety recommendations it had issued after previous crashes. One, issued in February 2006, called on the FAA to require EMS operators to use “formalized dispatch and flight-following procedures that include up-to-date weather information and assistance in flight risk-assessment decisions.” The FAA responded with a pending notice of proposed rulemaking. The second safety recommendation, issued in September 2009, asked the FAA to require that EMS helicopters be equipped with autopilots and that pilots be trained to use them when flying without a copilot. The FAA said it would study the “feasibility and safety consequences” of requiring either an autopilot or a second pilot. 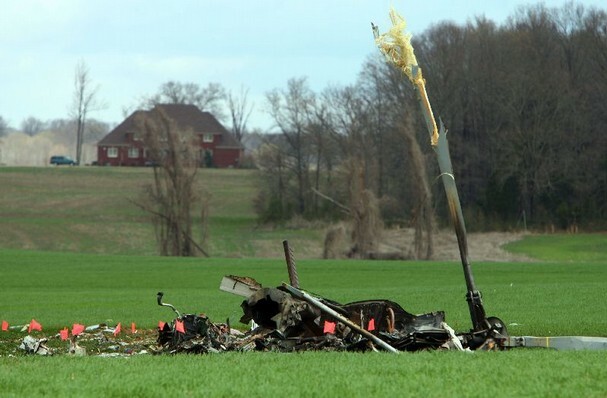 The second crash occurred at the end of the pilot’s 12-hour overnight shift at 0600 local time March 25, 2010, near Brownsville, Tennessee. He had dropped off a patient at a hospital helipad in Jackson at 0534, and called the flight-following center MedCom and the company pilot whose shift began at 0530 — both times to ask about weather conditions, including a nearby storm system. He told the other pilot that he was waiting on the helipad for the flight nurses to return and that he “wanted to get the helicopter out” and return to Haywood County EMS Heliport in Brownsville. The other pilot said that he checked a computer-based radar weather depiction and saw a front about 65 mi (105 km) southwest and approaching the heliport at 25 mph 40 kph). The accident pilot told the other pilot that he believed he had “about 18 minutes to beat the storm and return to home base, so he was going to leave the flight nurses behind and bring the helicopter back,” the report said. The helicopter took off from the helipad about 0551. Both flight nurses had arrived in time to board. Satellite-recorded data showed that the helicopter was flown about 1,000 ft MSL for most of the flight segment; the last recorded altitude was 752 ft MSL (about 350 ft AGL), with the helicopter flying at 105 mph (91 kt). After their conversation, the other pilot again checked weather radar and saw that the line of thunderstorms was about 18 mi (29 km) from the helicopter’s base. When he went outside, he could not see the helicopter and telephoned one of the flight nurses, who told him that they “had the weather beat” and would arrive at the heliport in about 30 seconds. 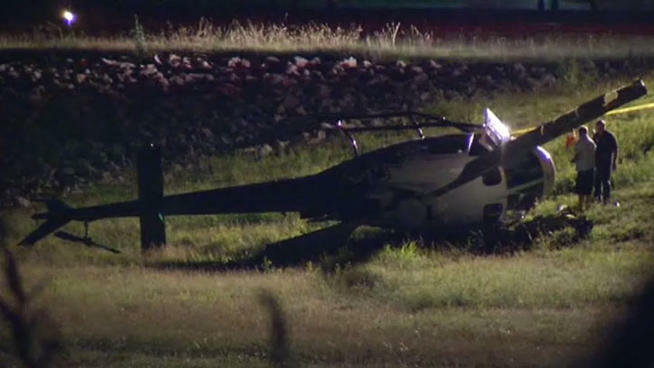 Rescuers found the helicopter in a field about 2.5 mi (4.0 km) east of the helicopter’s base. The pilot, 58, had a commercial pilot certificate with ratings for single-engine and multi-engine land airplanes, rotorcraft helicopter, instrument airplane and instrument helicopter. He had about 4,000 flight hours in March 2009, when he received his second-class medical certificate; records indicated he had about 2,615 hours of helicopter flight time. He completed his most recent airman ­competency/proficiency check in August 2009 and his most recent instrument competency check in February 2010. The day before the accident, the pilot had flown 0.4 hour at night. The previous day, he had flown 0.2 hour during the day, 0.2 hour at night without night vision goggles (NVGs) and 0.5 hour at night with NVGs. He had been off duty the previous day. The helicopter was an AS350 B3, manufactured in 2008 and delivered to the operator — Memphis Medical Center Air Ambulance Service, doing business as Hospital Wing — in May 2009; it had accumulated 248 hours total time, and the most recent 200-hour and annual inspections were performed March 1, 2010. It was equipped with NVGs and NVG-compatible lighting, an autopilot and an enhanced ground proximity warning system. 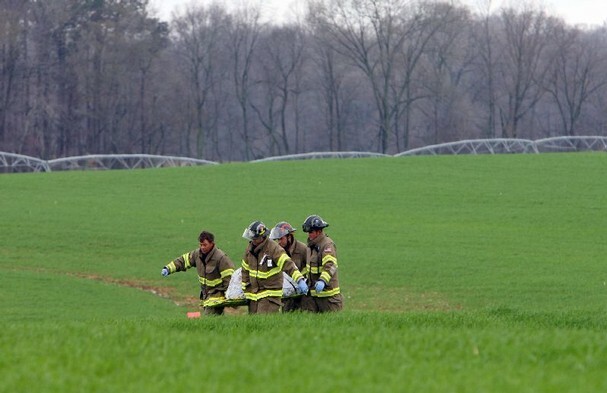 The accident investigation revealed no sign of pre-impact problems with the helicopter. Weather radar showed that, about the time of the accident, a line of thunderstorms was moving through an area that included the accident site. Radar showed IMC, heavy rain, lightning and wind gusts of up to 20 kt; the area immediately in front of the system would have been prone to extreme low-level wind shear, the report said. Witnesses reported lightning and thunder near the accident site, along with high winds and bands of heavy rain. Information from two organizations that gathered lightning-strike data showed a number of lightning strikes from 0545 and 0615 but none within 90 seconds of the accident. At the time of the accident, Hospital Wing used a formal risk assessment program that called for an evaluation, at the beginning of a pilot’s duty time, of a number of risks, including low pilot experience, inoperative aircraft equipment, poor weather and lack of night lighting. Numerical values were assigned in each area, and higher numbers indicated higher risks; a score of more than 14 meant the flight could not be conducted. The evaluation allowed for subtraction of points in acknowledgment of high levels of pilot experience, use of NVGs and other factors. The accident pilot calculated a total risk of “3”; two points had been subtracted for pilot experience and NVG use. This article is based on NTSB accident reports ERA09FA537 and ERA10MA188 and accompanying documents. What are we to think about these EMS Helicopters? Well, depending on your perspective, they are either a life-saving benefit to the community, or large money-hungry corporations will continue the practice of making huge sums of money off of the pain and suffering of others while providing no real value or decrease in mortality. That second perspective would fall in line with the argument provided by an outspoken opponent of all things EMS-Helicopter related, Dr. Brian Bledsoe, antagonist-in-chief. 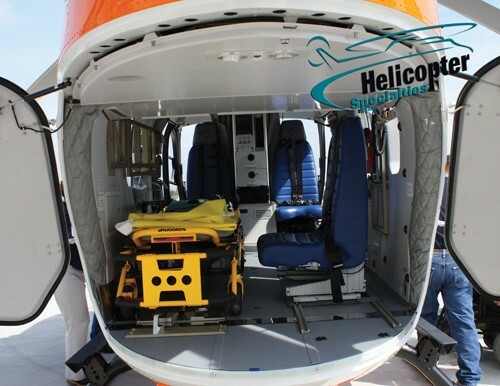 In his article, "Thank-You for Not Flying," published in the Air and Space Smithsonian Magazine (of all places) Dr. Bledsoe wrote that flying patients in EMS helicopters is too risky, too expensive, and too-often unnecessary (paraphrased). He is not alone in his beliefs, and as a D.O. who has written lot's of books about taking care of sick people, his opinion is worth considering. I take the position that EMS helicopters provide value in terms of money saved, save lives, and reduce pain and suffering by virtue of the transit time they save and the life-saving care that the crews on-board can - in most cases - provide. One aspect of this business that goes unreported is the extent to which EMS helicopters are - to borrow a phrase from the Army helicopter realm - a "force multiplier." In a perfect world, there would be a Level 1 (best) Trauma Center within a few minutes driving time of Everywhere, U.S.A.
Trauma patients tend to belong to a slice of society living in reduced circumstances, a down-beat demographic. They often don't have insurance sufficient to pay the bills for the life-saving services they receive after being shot, stabbed, crushed, chopped, or run-over by something mechanical. For this reason, Trauma Centers are money-losers, and must be supported by other means; which usually means a large population center and a place where doctors get taught how to take care of the sickest amongst us. This means that folks living in rural areas don't have rapid access to the same health care that urbanites do - unless a helicopter is available. To be sure, a patient can be transported by ground. But that proposition is not without risk; time-in-transport and traffic density are proportional, and ground ambulances aren't staffed with specially trained critical care nurses in most cases. Occasionally helicopters do save lives. But not every time. So put yourself in the back of an ambulance, you have a patient who has been involved in a motor vehicle crash, has a rung-bell, and bruising about the head and abdomen from; a. steering wheel, b. seat belt, or c. airbag. Now maybe you are going to seek the services of a helicopter because you think your patient may be bleeding inside, and may circle-the-drain during the bus ride in, or maybe you think that tonight's workload is such that you don't want to leave your area without ambulance coverage for an hour or two, or heck, maybe you are about to get off work and you want to be done with this dude.... It all happens. And if the end result is that good reliable HEMS is available in your area, then good for you. Does this mean that we shouldn't have standards? Absolutely not. Is there room for improvement (read - regulation) in the industry? Absolutely. Under the current paradigm, providers have a strong financial incentive to provide the least costly aircraft and personnel that will compy with existing rules. They get the same payment for transport in a cheap aircraft as they do for using a more expensive, more capable one. And that isn't working out so well. The hope of the industry, CAMTS (google it) is not living up to it's potential for good because it is funded by the same folks it purports to regulate. CAMTS should not have to engage in rent-seeking behavour, any more than the "joint-commission" does. Indeed, it should not be permitted to. No money should pass from the organization (or individual) being judged to the judges. It creates a moral hazard. Today, if it is too difficult to hire a qualified and competent person at the salary deemed sufficient, the industry will (has) simply lower (ed) hiring standards and/or experience minimums, and CAMTS will roll with it... The pilots, clinicians, and ancillary staff involved in HEMS should not use this arena as a training ground, rather they should be the cream of the crop, and should be paid as befits same. Every helicopter nurse I know could see a raise of between $5 and $10 dollars per hour by quitting their helicopter job and going back into a brick-and-mortar hospital - in practice most of them work at both to pay the bills. Because helicopters are "cool" and people want to be cool, they sign up for the flying job, and often (today) are not up to the challenges in patient care that they are faced with. Remember - there is no doctor on board. When the coolness wears off, and the reality of the pay-hurt sets in, these same clinicians, who are now actually "trained" and are the ones to keep, well.... they quit and follow the money elsewhere. So HEMS jobs are training grounds. CAMTS should be a government sponsored and controlled entity, and the standards should be driven by what's right, not what's convenient, or exigent, or makes us more money with less cost... Ancecdotally, when I started flying EMS helicopters in 1999, pilots were expected to have 3000 hours of helicopter experience. That was the norm. Clinicians were expected to have three years, on the street for medics, in a critical care position in-hospital for nurses. It used to be hard-as-hell to be a flight nurse or flight medic. But today those standards are too hard-to-meet, right? So now we require less. And the stories about patients getting inadequate care on the way to the hospital increase right along with the fatal crashes. In HEMS parlance it's a "race to the bottom." And the government should fix it. Three people were killed when a medical helicopter crashed in Kentucky late Thursday night, officials said. The Air Evac Lifeteam aircraft crashed in the parking lot of an elementary school at about 11:30 p.m. 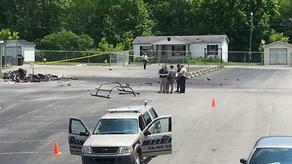 ET in Clay County shortly after transferring a patient to a hospital in Laurel County, NBC station WLEX-TV reported. The school was not damaged, but a power line was hit. Witnesses said there was fog in the area at the time. Air Evac confirmed the fatalities in a statement on its Facebook page. “We are devastated at the loss of these crew members who we consider family,” it said. “We have no details regarding the cause of the accident but will be working with the NTSB in coming days as they conduct their investigation,” it added. As a new member of the HEMS community, you will undoubtedly spend some time observing how things work, and then, after you get some time behind you - and experience how things are, you will likely find yourself in a position to effect changes. I would like you to think about this, and about the effects that changes can have on people, systems, and culture. One common result of change is that there are unintended consequences. Things happen that were unforeseen, thorough-coordination ends up being not thorough enough, and some piece of the "puzzle" effected by the change that wasn't considered in advance ends up hurting someone. Change is hard and inevitable. Every instance of change provides an opportunity for confusion, misunderstanding, and anxiety, and introduces an increased risk of catastrophe. I have too-often seen change in organizations, in practices or procedures, and in policy made for it's own sake (for some guy's resume). My caution for you is - make sure you think it through - and consider all the consequences. After graduation, Pierre and I crossed paths a couple of times, and not long after I volunteered for duty with B Company, 3rd Battalion, 160th Special Operations Aviation Regiment in 1989, he did the same for duty with the 160th's Chinook company at Fort Campbell. He quickly established himself as a great aviator, and was designated as an instructor in short order. During this time, the Chinook went through an upgrade from a modified and probed D-model to a special-ops-only "Echo Model." One of the plank holders in our Savannah-based band of brothers, Terry Ledford, was tasked to participate in a users group for this new machine in '89 or early '90 - even though we would never fly one at our station. He travelled to Fort Campbell, and reported back that it was a typical fudge-cluster with everyone involved clamoring for their pet features for inclusion. This happens also when EMS helicopters are bought - and is why no two EMS helicopters from the days of hospital-vendor relationships are configured the same. The vendor for the Echo's cockpit avionics suite was, inexplicably, IBM. I don't know how much aviation business IBM has had over the years, and honestly I don't care. Anecdotally I can tell you that it was horrible, non-intuitive, and difficult to navigate through the pages of displayed data to obtain the information needed during a typical mission. This is not to say that the aviators at Fort Campbell didn't learn how to make the aircraft do it's job - it was just made harder than it needed to be. 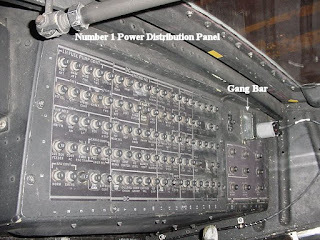 In case you are curious, special-ops cockpits before and since have been provided by Collins, an old aviation company, with intuitive and simple (pilot-friendly) buttons, pages, and methods of displaying data. Collins was also selected for the new conventional-forces F-Model 'hook - the Army got it right! When I was first learning to fly on instruments, I spent time in a simple but effective UH-1 Huey flight simulator. This device had no visual "out-the-window" features, it was a straight-up instrument trainer (and a good and humbling one at that). The first phase of training is called "B-I" or basic instruments, and teaches a pilot how to maintain control of the aircraft solely by reference to an assortment of - at the time - analog dials and gauges. 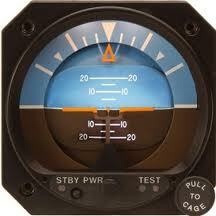 The one nuggets lean on the most at first is the attitude indicator, or artificial horizon. This because the little earth-and-sky depiction is closest to what the pilot would be looking at if he or she could see out the window. Push the stick forward and you are looking at brown (headed for the dirt), pull back and you see more blue (sky), keep the "wings" level and you avoid a failing-grade slip - or worse, an audience with your angels. The tricky thing about the attitude indicator, or at least it was initially tricky to me, is that when you roll the aircraft into a turn, the "ball" or earth-sky representation appears to roll the opposite direction. This makes perfect sense of course, because when we roll an aircraft, the view out the windshield shows the earth maintaining it's position and us changing attitude. The orange triangle or "bank index" in the picture below, likewise moves in the opposite direction to the direction of roll. I screwed this up more than once when I was new, beginning a turn, looking at the index and seeing it go the "wrong" way, and jerking the cyclic stick back the other way. Time and training taught me how to correctly interpret the information being provided. And every other pilot before and since who has flown by reference to an attitude indicator. Still with me? Great! So as the guys from IBM, in coordination with the end-users advisory group are designing the Echo Model Chinook's cockpit and deciding how to write the software, legend has it that one smart fellow decides "hey! we're talking digital here and we can provide information any way we want!" They decided to have the horizon representation-line on the rectangular cathode-ray-tube (CRT) multi-function-display (MFD) maintain it's relationship to the actual horizon during a turn. 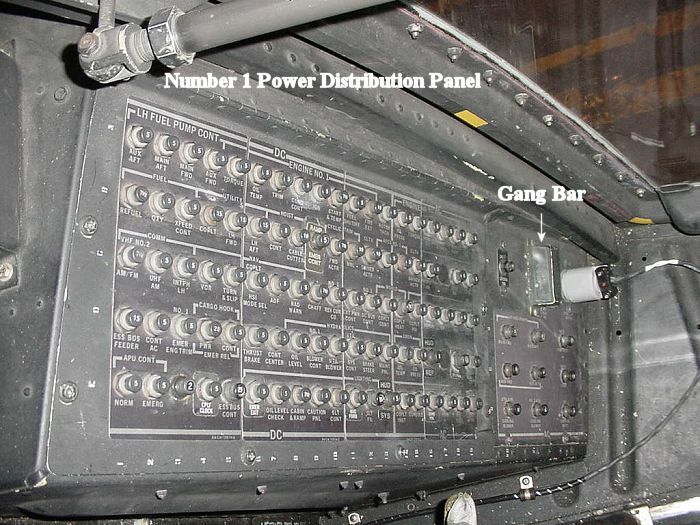 Here is a view looking down upon the panel in the left side of the Chinook cockpit. The right side panel looks the same. Chinook electrical bus-bars and power-distribution-panels have been located in the same place since the A-model. Chinooks have flown through many rain storms, and window seals have been leaking since SN 001 rolled out of Philly. I myself spent 3500 hours flying the aircraft, through all kinds of weather, and had all kinds of leaks. I study, teach, and spend countless hours thinking about human-factors acccidents, and this crash was a classic human-factors event related to the unintended consequence of change. The pilot being assessed was familiar with flying a military version of the Bell JetRanger (an OH-58), with anolog instruments, much less information to digest from the displays, and a tried-and-true mechanical attitude indicator. He was being radar-vectored for an instrument approach to Fort Campbell as his check ride was being completed, and was instructed to make a turn. The bewildering amount of data available to him overwhelmed him - to be fair he was not familiar with the MFDs - and when he got confused his eyes found the electrical symbol on the CRT that represented the bank index, and it went the wrong way. The 160th stopped letting pilots being assessed fly the Echo Model after this crash. Even though rain water and a short circuit caused it... That's what is in the accident report. The crash was caused because someone decided to change something, and no one anticipated that a guy who wasn't a frequent instrument flyer who was unfamiliar with the cockpit layout and displays, would fall back on what he thought was the simplest and most reliable source for turn information, the bank index.